BASEL BUILDUP: Seiko’s impact at Baselworld last year was measurable on the Richter scale. 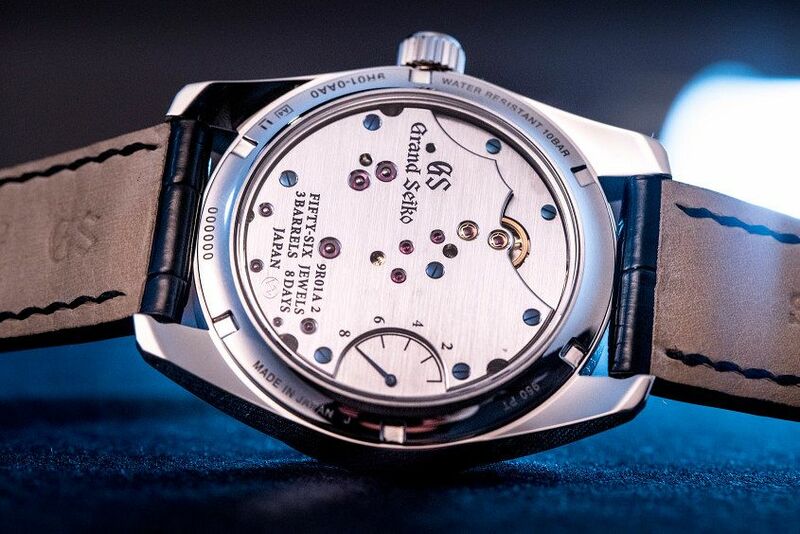 If it wasn’t the aftershocks of the Seiko Presage Chronograph 60th Anniversary Limited Edition it was watches like the Grand Seiko Spring Drive SBGD001. Hard model name to remember. Easy watch to be wooed by. The dial doesn’t quite sparkle in these pictures like it does in real life, so if you ever get the chance to see one, do yourself a favour. 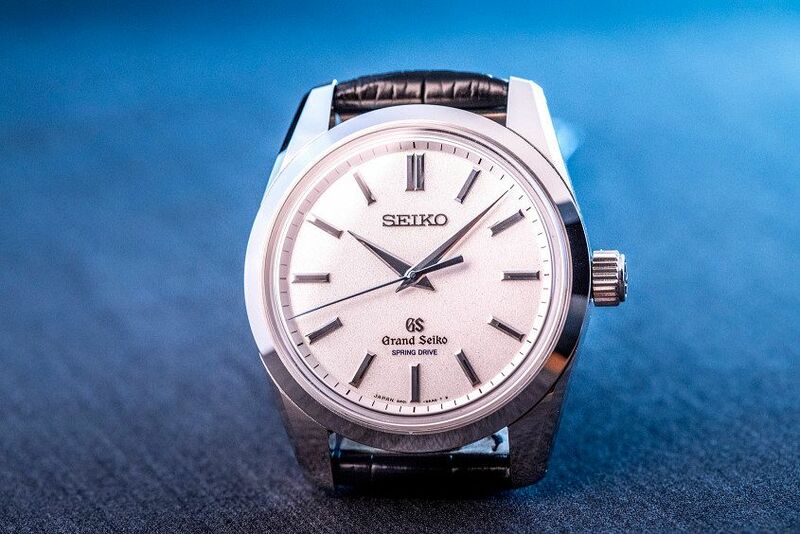 The first thing you notice about this Grand Seiko when you look at it is the dial. It’s a fresh as virgin snow on a crisp winter’s morning – an icy, sparkling white. Seiko call it ‘diamond dust’ and it’s easy to see why. What you notice next, if you’re lucky enough to have the opportunity to hold this watch in your hands is the weight. It’s heavy, real heavy. And that can only mean one thing – platinum. The case isn’t just solid, it’s big too. At 43mm it measures in larger than most Grand Seiko’s, thanks to the 37mm wide movement. 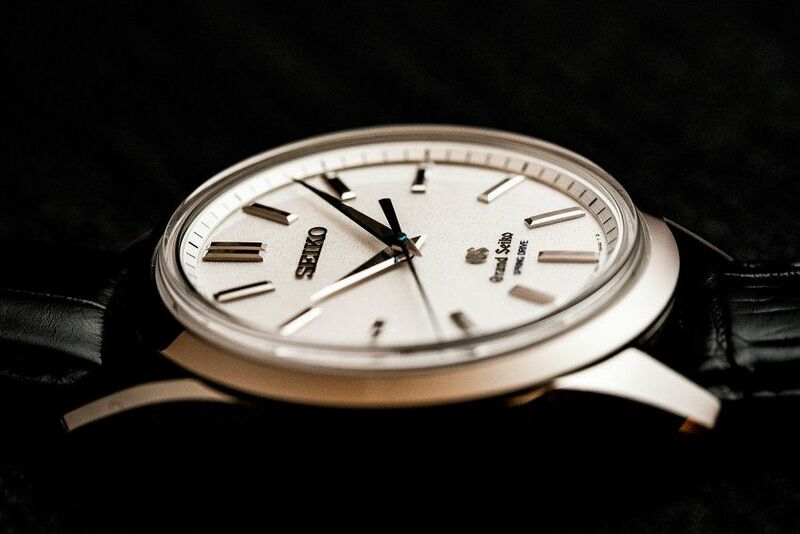 Add this uncharacteristically big case to Seiko’s impeccable polishing and the traditional styling, and what might look inconspicuous in press pictures, is actually a shimmering sight to behold in real life. On their own the case and dial would mark the SBGD001 out as a special watch, but we haven’t even got to the really good stuff. Seeing ‘Spring Drive’ on the dial, you probably have a fair idea of what to expect on the back. Well, any expectations you had were wrong. Because this is Seiko’s first ever manually wound Spring Drive, with a movement that boasts the longest power reserve of any Grand Seiko, clocking in at an impressive eight days thanks to its triple barrels. In addition to being the first manually winding Grand Seiko, it’s also the first produced by the Micro Artists Studio, the small team best known for the Credor Eichi, Sonnerie and Minute Repeater watches. The level of care and finish evident on this watch is really on par with the best watch making I’ve ever seen. Which makes it a little surprising that the caseback is so plain, dominated by a single (expertly finished) bridge. But even though the cogs and wheels of the 9R01 aren’t on show, the view is far from boring. Seiko has placed the power reserve indicator on the rear, which is smart, as cluttering up that diamond dust dial would be criminal. But they’ve also kept it interesting by using the bridge outline to trace the iconic outline of Mount Fuji. In addition, the blued screws and jewels are meant to represent the night-lights of Suwa, where the watch is created. It’s just the sort of poetic touch we’ve come to expect from Seiko’s top-tier watchmaking. But the main reason for the large bridge is functional, as it allows the greatest precision in position and transferring power, which in turn improves the accuracy of the watch. Thanks to the Spring Drive technology the SBGD001 boasts accuracy to within +0.5/-0.5 seconds a day. 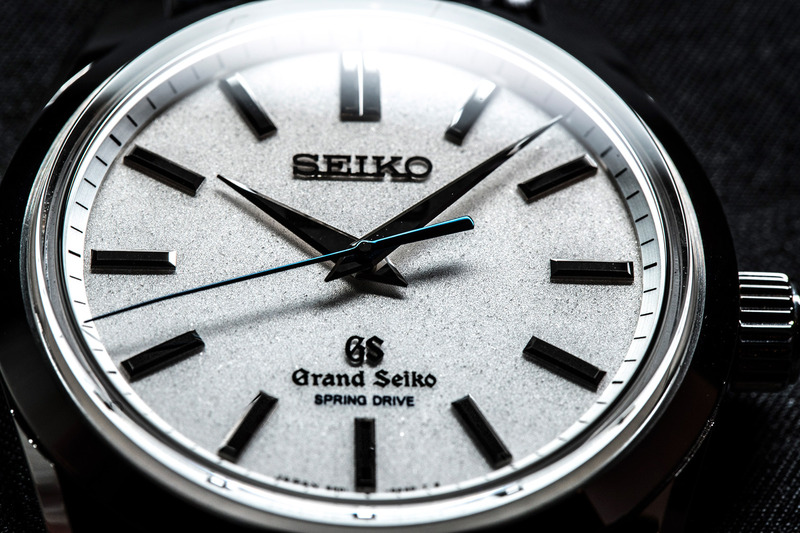 The Grand Seiko Spring Drive SBGD001 will be in regular, if extremely limited production, and has an RRP of 60,000 Euro.